The title of this bygl-alert is actually a bit disingenuous, since Dave Shetlar, Joe Boggs, and Curtis Young, entomologists all, are better equipped on the ins and outs of Thyridopteryx ephemeraeformis, the common bagworm, compared to me, a plant pathologist. The Latin binomial itself makes me a bit crazy, which I guess makes sense, since the family (group of related genera) for the common bagworm is – Psychidae. The actual ins and outs in this case actually refers to what my wife and I saw at a central Pennsylvania rest area this weekend. 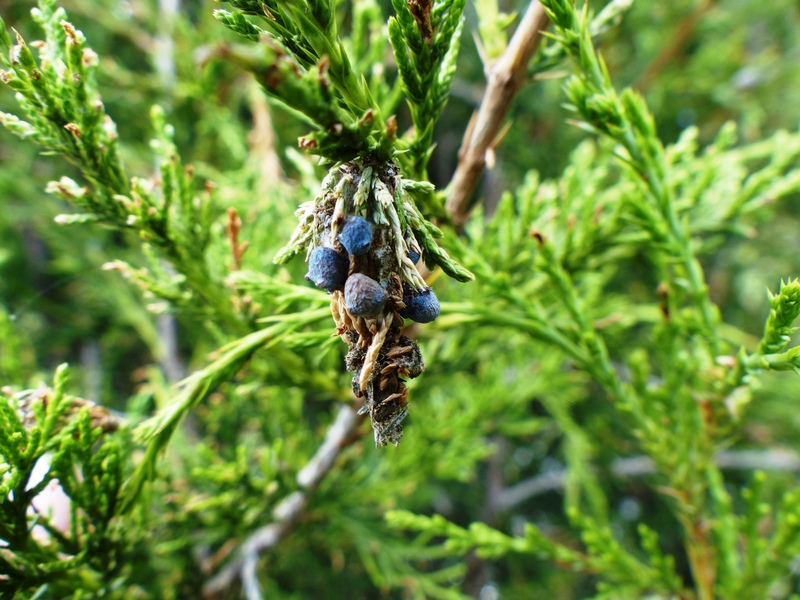 There were numerous junipers in the restscape and numerous bagworms, in various levels of revelation. Some of the munchkin caterpillars were ensconced within their cocoons that they had made from silk, feces, and plant parts. Others, when we were observing them, had emerged from their bags and were doing their damage to the junipers, damage that can become quite serious if uncontrolled in landscapes, even killing this species and over 100 different plant species. My wife teaches second grade, and knowing even less about bagworms than me (we are all, after all, ignorant of almost everything – until we aren’t), believed a local wag who said these cocoons were galls. Galls, though, are abnormal plant growths, for example the over 800 different and fascinating abnormal growths on oaks alone that are caused by insects that activate and deactivate plant genes, programming them to produce the gall that houses the insect eggs and larvae as they develop. With bagworms, the larvae that emerge from eggs laid by female bagworms build their own bag, they do not reprogram plant growth and induce galls. Bagworm larvae feed in their host plants when emerging partway from the bag, then pupate, become adults, mate and all that. Bottom line though, my wife’s class took great pleasure in removing what they thought were galls. Though they were actually removing cocoons rather than galls, the bagworms were removed from their garden, stopping them from continuing on for another year. If only they knew they were caterpillars inside, though – these second graders would have been even more on their way to eradicating Nature Deficit Disorder!